I seriously don't know what it is that I can't seem to do these posts until the end of the month, haha! Three months in and I'm still at it. And I have to admit, I rushed this one and my Pusheen is kind of smooshy, but it's still cute! Let's look at March! Hi All! I said I would be back with some Zoya Charming art so here I am. I am really obsessed with this manicure! I knew I wanted to do something with florals since the Zoya Charming collection is so springy. I was browsing Wondrously Polished since she is floral queen and saw THIS manicure, and was immediately inspired to do a similar design with this Zoya collection. So let's see how I did this! Since last week technically marked the beginning of spring, it's time for me to share the Zoya Spring 2017 collection, Charming. This includes 3 cremes and 3 shimmers. This is a mostly purple and pink collection but the cremes are so so good so let's take a look! 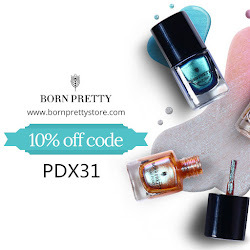 I'm currently wearing nail art that I'm obsessed with based on this collection so tune back tomorrow for those! 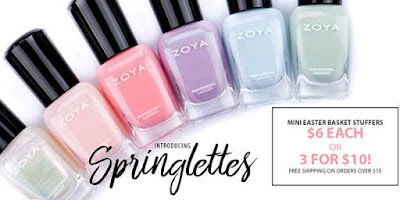 Just wanted to share a quick new promo Zoya is having for the cutest mini polishes, perfect for basket stuffers for Easter, Mother's Day, or just if you love cute minis! I'm back today with another Polish Pickup polish! Remember, there will be about 18 makers contributing and you get to pick and choose if you want one polish or all! 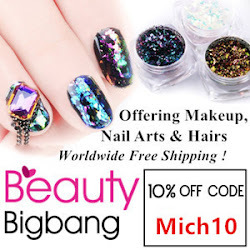 Girly Bits contribution is absolutely amazing and if you love flakes, holo, and shimmer, then you need this polish! Winter isn't letting up! Last week, during my spring break, we had a blizzard! Luckily, we only got around 8-10 inches, unlike an hour north that got 30!! This gave me the inspiration for one last wintry mani and I wanted to incorporate the transition from winter to spring! I am back tonight with another Polish Pickup contribution! Remember, the Polish Pickup will have contributors each month and you can pick and choose which ones you want! This is Northern Star Polish's contribution based on the painting "The Scream" by Edmund Munch. I've seen this painting in person and it's even better! This month is a kick off for a new concept called Polish Pickup. A ton of makers are participating and creating polishes off of one theme and this month is art. It's an indie box without a box. You get to choose which ones you want to purchase from the huge list of makers. Well, Alter Ego is one of the makers in this month's box and here polish is based off of this Thomas Kinkade painting. Beauty and the Beast releases tonight/tomorrow and I'm using the Morgan Taylor collection for the movie one more time before the movie is out! I received the three new stamping collections from Morgan Taylor and one happened to be floral themed! Well, hello, Beauty and the Beast is all about that rose so I had to do some themed art. Hi All! Sorry I've been posting so late! It's my Spring Break and I was supposed to be going away but we got hit with that huge blizzard so instead I'm relaxing! Anyway, I have one more St. Patrick's Day look with the new Alter Ego collection! I'll have swatches of the collection soon, but I've been having fun playing with the colors and the new collection. Check out yesterday's look HERE. Hello! I survived the storm, by staying indoors and not leaving! I went outside on my balcony for a little but the wind created sideways snow and it wasn't fun. We only got around 10 inches, so we missed the huge storm. Hope everyone is safe! Anyway, I've got a simple layered dotticure for today to celebrate St. Patrick's Day! If you're in the Northeast, you're gearing up for the huge blizzard coming our way tonight all through tomorrow. Looks like we will be getting 20 inches now! I've been transitioning into spring colors because, you know, it was 70 degrees last week. Here is a spring look I recently did playing with colors from the Pretty Vintage and Vintage Anime collection. Happy Purim! I wanted to re-create my hamantaschen from last year but change it up a little bit with some texture polishes! Oh man, I can't wait to eat some of these tonight! If you're unfamiliar with the holiday, you can check it out here. It's Friday!! So it's the almost weekend. Well, if you're heading to Indie Shop in Atlanta tomorrow, you can look forward to two exclusives at the event! But don't worry, you'll have a chance to purchase these as well after the event. If you like unique colors, holos, and crellies, then you need to keep reading. Yesterday I shared with you a few of the Vintage Anime collection from Kandee Johnson and now I'm sharing 4 of the 12 of the Pretty Vintage collection. This consists of 3 textures and 9 matte velvet polishes. I happened to get all the textures, so let's take a look. Hi everyone! Hope you're Tuesday is treating you well. I've been sick but managed to head to the Museum of Modern Art to see the Pacabria exhibit before it leaves. If you live in the NYC area, I highly recommend it! Anyway, I want to share 4 colors from the Kandee Johnson Vintage Anime collection. Good evening! I know I promised I would get this up yesterday, but I had a million papers to grade and came down with a dreaded cold so I went to bed way too early! Anyway, when I think of Beauty and the Beast, I definitely think of the beautiful castle and all the intricate details of the windows. If you though the Morgan Taylor Beauty and the Beast collection didn't look good together, then check out my stained glass! Happy Weekend! I thought it would be appropriate since on the weekend, I have the time, sometimes, to take a bath! HAH! So I finally got to try this cute macaron bath bombs! As a child born in the late 80s, Beauty and the Beast was my absolute favorite. Something with Belle resonated with me and I just loved her affinity for books (hello, I'm an English professor! ), her yellow dress, her ability to see through "ugliness." So when the live action movie was announced, I was halfway between "YESSSSS" and "awww don't mess with my favorite." I don't think they chose the right Belle, but that's a whole other story. So Morgan Taylor had the chance to collaborate with the movie and I have the swatches for you tonight! I'll be back Monday morning with some themed art. Hi there! I know I post a lot of Paint Box Polish and that's because I'm a fan. I purchased this gorgeous polish, which was part of the Indies Outside the Box winter box and I love it. Once I saw it, I knew I needed it! Oh hi March. I can't believe you're already here. I seriously don't understand where time goes. Anyone who is in the teaching/education profession measures time a bit differently. For me, it means midterms, which means the semester is half over, which means final grades soon and WHAT?! Ok, I'm stressing myself out. Let's talk about this gorgeous duo that is available, starting today.